A request for a reservation should be made typically, no later than two weeks - four weeks in advance for any tour package. All reservations and vehicles are subject to availability. We require a 20% deposit for all reservations with a Major Credit Card. Final Balance Due is by Cash Only or if by Credit Card, a 3% Convenience Fee with be added. Please remember we need your Gourmet Lunch selection 5 days prior to your reservation date. Click here to go to Gourmet Food Menu. To request a reservation or quote, please fill in the form below. Our pricing is very competitive. One of our friendly staff members will contact you to confirm reservation details and pricing. What is your Groups Name? 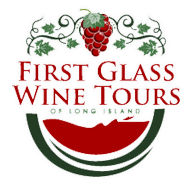 First Glass Wine Tours Policies – We pride ourselves on personal attention to every detail of your event, therefore, we cannot give refunds. Please be sure your details are accurate at the time of your reservation. Our goal is for you to have a First Class experience with us! We want you to relax and have an enjoyable day. If you have any questions at all, please call us. Thank you.